Throughout the ages, the alluring power of scent has been harnessed to inspire, to comfort, to transport, and to enliven the spirit. A nostalgic or exotic fragrance possesses the unique ability to instantly engage our imagination and enlighten our senses, invoking the warmth and familiarity of our home and allowing us to momentarily transcend everyday life. Infused with exquisite fine fragrance oils reminiscent of places both near and far, Padre Aura luxury lifestyle essentials are a celebration of scent, sophisticated design and the spirit of travel. 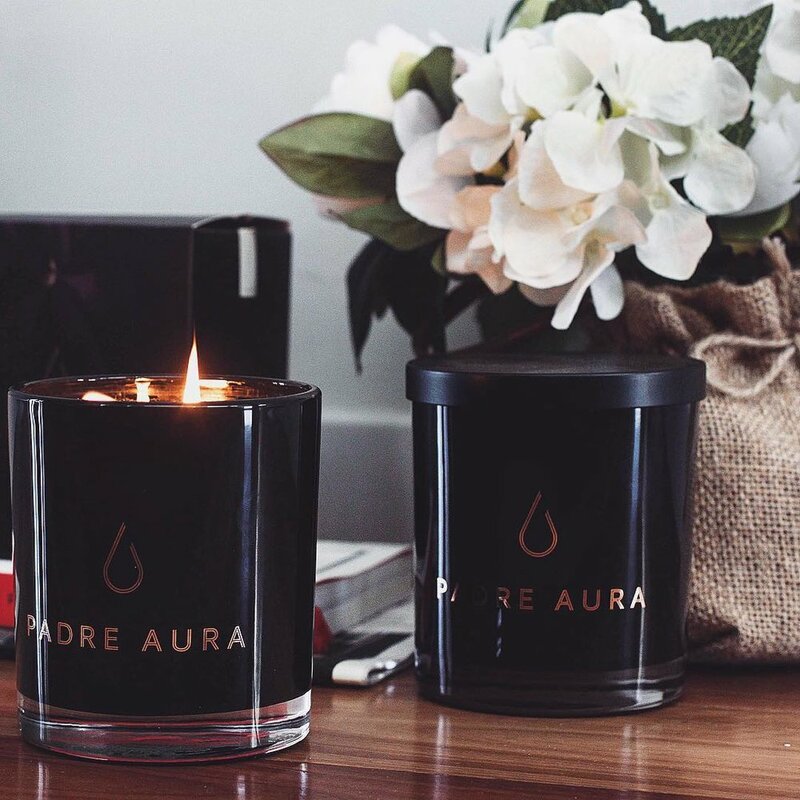 "Padre Aura candles are undeniably luxurious, defined not only by the quality of their ingredients, the meticulous attention to detail applied in production but, most importantly, the ambience they create when lit."